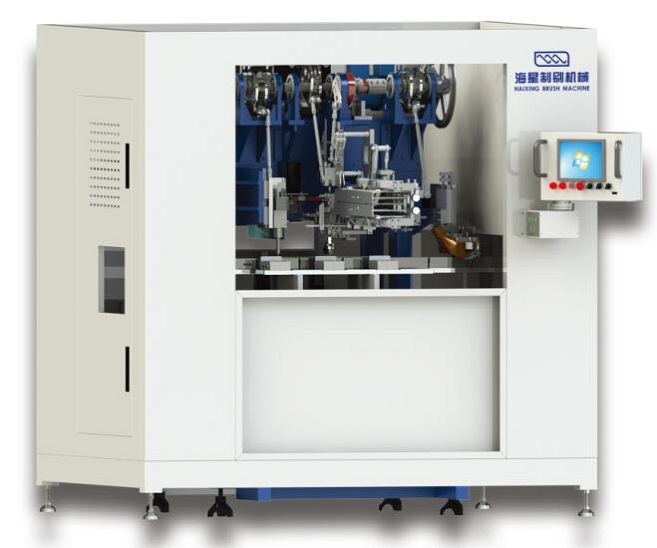 2 Axes automatic Strip Brush Making Machine. This Brush Making Machine is designed to produce strip brushes and elevator brushes. It is equipped with one drilling head, one tufting head and one Brush Trimmer. It can meet the high speed production needs of strip brushes and elevator brushes. It has a PLC touch screen control system with English display which enables a convenient and easy operation. The components are standardized for easy and convenient replacement and repairing. Looking for ideal Automatic Strip Brush Making Machine Manufacturer & supplier ? We have a wide selection at great prices to help you get creative. All the Strip Brush Machine are quality guaranteed. We are China Origin Factory of Elevator Brush Making Machine. If you have any question, please feel free to contact us.